AirAsia India (AAI) took to the skies yesterday, on its first revenue flight, and marks a new chapter in Indian air transport history. The inaugural flight, i5 1320, flew from Bangalore to Goa, with almost all seats filled with excited passengers, guests, and staff. To the paying customer, who after all is the target of every airline, four things are important, one of which is the in-flight experience, which includes aircraft cleanliness, comfort, in-flight service, and food & beverage options. AirAsia India has got it right from day one; being part of the AirAsia Group really does make all the difference. Today, AirAsia India is a small player, but with a huge backing. It enjoys the economies of scale, and is set to take on the Indian market by storm. In this piece, we look into what could make AAI appeal to the passenger, and why it may emerge as the preferred airline. CLICK HERE to read all about an ingredient to the airline’s success. This article talks of Air Costa’s peculiarities, as well as the costs on a particular sector and the market potential associated with that sector. Air Costa, which has been making the waves as a regional carrier with many peculiarities, including first class seats, added one more today, by achieving a 0% on time performance, on it’s launch date. As was conveyed to the media a week ago, and published on their website, Air Costa was to have both launched and inaugurated its services today, by flying the Vijayawada-Bangalore sector. All other sectors have been mentioned as starting from 15th October, 2013. Air Costa planned to inaugurate its regional air connectivity on the 14th of October, 2013, to coincide with the supposedly auspicious day of Dussehra. The usual 06:45IST departure and 07:45IST arrival was changed to a 10:30IST departure and a 11:30IST arrival to stay clear of a particular inauspicious time of the day. But to the dismay of many spotters, who made their way to BIAL to catch the Embraer through their lens, it didn’t turn up. Bangalore briefing was contacted, and a spotter was told that there was no flight plan received for an “Air Costa flight 601”. While start-up hiccups are understandable, calling for a press-meet and then changing plans without notification is operationally acceptable but image-damaging. We do sincerely hope that this doesn’t reflect the future of an airline that had initially planned for turboprop Q400s and then switched to turbofan Embraer E-Jets (nothing wrong with a switch, as the E-jets opens up much longer routes, but reflects poor homework on the part of the airline), wants to offer low fares but doesn’t have the cabin of a low cost carrier (dual class cabin), publishes routes on its timetable, while the route map misses out those very routes, has been pushing the launch date far too many times, and promises the first flight only to revise that as well. How Air Costa is going to manage their costs is uncertain. 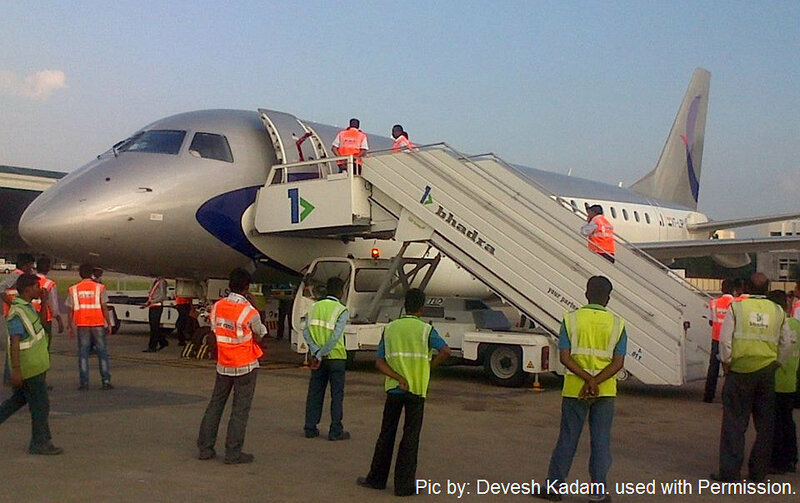 The Embraer 170 on a 60 minute flight (Vijayawada-Bangalore) consumes, on average, approximately 900 liters of ATF. At the present ATF prices at Bengaluru, and 4% sales tax, this translates to INR 60,000. 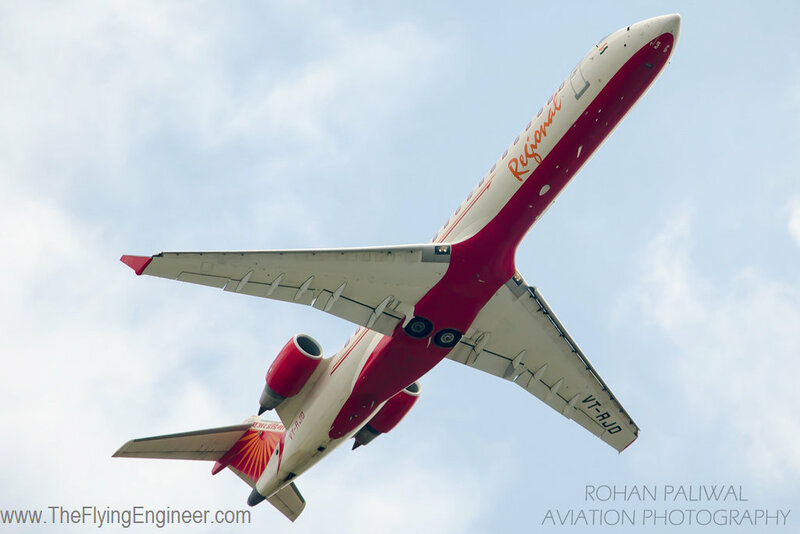 Including fuel, the operational cost is estimated at a very conservative INR 300,000 – 400,000, which will actually be much higher for a start-up airline. If we are to divide this by the 66 seats on board the airplane (60 economy + 6 first class), this translates to about INR 4,600 – 6,000 per seat, or INR 5,000 – 6,700 per seat neglecting the first class seats. Being regional, seldom will their aircraft fly with a 100% load factor, which further pushes up the cost per seat. It is further unlikely that there will be many takers for the expensive “Economy Plus” seats: the economy seats on an Embrarer are very comfortable, both in pitch and width, and upgrading to a first class seat on a 60-minute flight does not make much sense. For a flight one month from today, Spicejet’s direct flight from Vijayawada to Bangalore is priced at INR 3,172, all-inclusive, per person. Air India, with an inconvenient stop, offers seats for 3,671 per person, and Jet Airways’ direct flight INR 5,187 per person. However, based on the fact that the Jet Airways’ 08:15 departure is the most convenient, there is a higher demand for that flight. If a person from Vijayawada wishes to wrap up business at Bangalore, in a day, he may pick Air Costa’s early morning 06:45 departure, reach Bangalore at 07:45, reach the heart of the city by 10:00am, wrap up business by 13:30, and pick the only convenient return flight at 16:40. But Air Costa will have to price economy at no less than INR 6,000 per economy seat, to break even at 90% economy-cabin load factor (54 seats), to prevent themselves from bleeding. Air Costa’s Vijayawada-Bangalore economy all-inclusive fares start at INR 2,284 and progresses through 2,798, 3,323, 6,314 and upward based on demand, but still staying lower than the competition. How this pricing pattern covers operational costs, if ever, will be interesting to observe, as these are inaugural fares priced at INR 9, adding up to the above mentioned figures due to surcharges, fees and taxes. Air Costa’s Bangalore-Vijayawada and Vijayawada-Bangalore may have the highest passenger loads among all carriers, simply because of the convenient timing, and pricing, if the fares continue to be priced the way they are. It will be interesting to watch the growth of this regional airline, in the hands of an aviation first timer. You may notice a stark difference between the way Air Costa handles things and the way in which Air Asia India will manage their show.